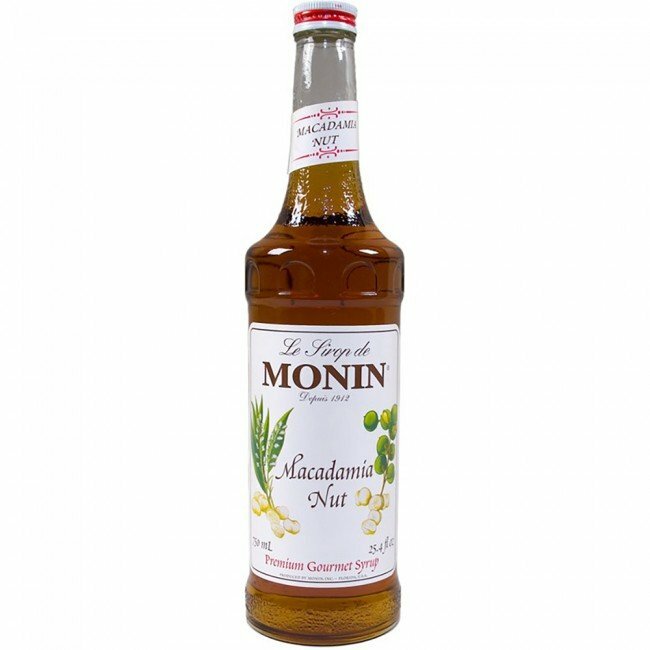 Enjoy the delicate, buttery taste of macadamia nuts in your morning cup of Joe, smoothies, milk shakes or other festive beverages with Monin's Premium Gourmet Macadamia Nut Syrup. Your beverage creations are endless with Monin's Gourmet Syrups. May be used with dairy ingredients: milk, cream and half & half. Pure Cane Sugar, Water, Natural and Artificial Macadamia Flavor, Caramel (Color). Contains: Peanut and Tree Nuts.